The video below provides a look inside the Flowserve Valtek Mark One control valve and identifies its major components. 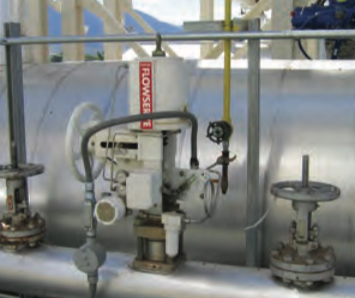 The Flowserve Valtek® Mark One globe control valve is designed for liquid and gaseous services, and for permitting easy, fast and inexpensive maintenance. The spring-cylinder actuated Mark One valve provides stiffness and maintains high positioning accuracy, repeatability, controlled high speed, and faithful response. The Mark One valve handles up to 150 psig supply air and has the thrust to shut off against much higher fluid pressures. The Mark One valve is designed so the spring, supply air pressure and fluid pressure itself combine to produce exceptionally tight shutoff. A self-aligning seat ring further enhances the shutoff capability of the valve. Jorlon™ is structurally modified pure PTFE. It is manufactured by a proprietary technique where PTFE layers are combined and formed in a unique process to reduce the creep and cold flow associated with conventionally formed solid, or laminated PTFE or Teflon. Jorlon™ is warranted for a lifetime of use on our Mark 95, Mark 96, Mark 96AA, Mark 95AA regulators, MK978 Series control valves, J-series regulators, and the JSHM metering valve. JorlonTM has been specified in biopharm applications including WFI, clean steam (up to 100 psig), buffers, acids, cryogenic liquids, clean utility gas, biological intermediates and final process fluids. 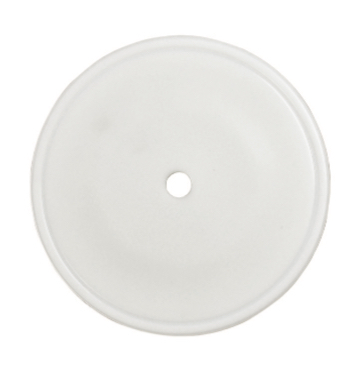 Since its inception, thousands of Steriflow valves with Jorlon™ diaphragms have been installed in systems which have been validated by the FDA. Jorlon™ has been tested on a variety of Steriflow control valves on 45 psig (3 bar) continuous steam service to over 1 million full stroke cycles. One of those valves was further tested with an additional 100 Steam and vacuum cycles without failure. Lab tests comparing Jorlon™ to 316L diaphragms have shown continued life after exceeding the SST failure cycle count by more than 100 times. Jorlon™ has been used by Steriflow for over 15 years. To date, not one valve has been returned due to diaphragm failure when operating within its use parameters. Jorlon™ has been nitrogen pressure tested to over 1200 psi without failure. 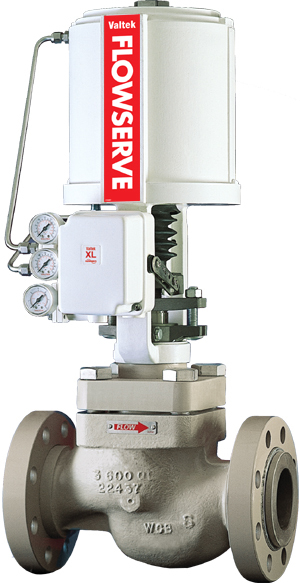 Flowserve general service control valves combine platform standardization, high performance, and simplified maintenance to deliver a lower total cost of ownership. 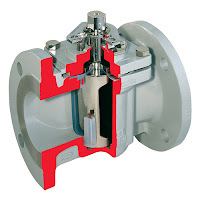 Flowserve delivers a broad range of general service control valves – linear and rotary – with pressure ratings of ANSI Class 150 to 4500/PN 10 to PN 640. These high-performance control valves offer greater reliability, precision control, and flow capacity, with significantly reduced cavitation, flashing, and noise. Quality production ensures increased process yield and throughput. Because Flowserve general service control valves are constructed on global platforms using standardized parts and components, up-front engineering is held to a minimum. Simplified operation, maintenance, and service further ensure lower total cost of ownership. Download your own copy of the Flowserve Control Valve Product Guide here or browse through the embedded document below. Manufacturing plants are continually under tremendous pressure with demands for safety, reliability, and efficiency. Unplanned shutdowns and outages have a huge impact effects on plant performance. Lost production, escalating energy costs, unexpected maintenance costs, and heightened safety concerns are the real outcomes of equipment failure. New, developing process technologies must mitigate these plant control realities. Wireless process control technology is a serious contender in the ongoing effort to improve plant efficiency, mitigate risk, and increase productivity. Today's wireless transmitters are available for monitoring virtually any process control variable including flow, pressure, level, temperature, pH, Dissolved Oxygen, etc. Very notably, in the harshest environments, these devices reliably transmit critical control data back to central control areas around the clock and without the need for human presence. 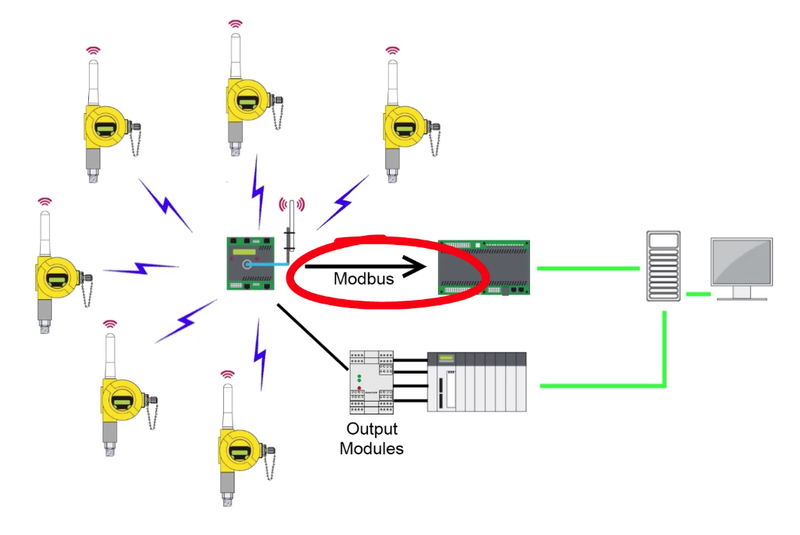 The argument for wireless instrumentation is very compelling when you consider installation convenience and cost savings. Some cost savings estimates run as high as 70% by eliminating wires and cables, as opposed to the cost when using cables for the same application. And most remarkably, wireless instruments provide additional safety and compliance benefits by keeping maintenance personnel out of dangerous or hazardous areas. All manufacturing industries are faced with the realities of cost cutting as plant managers endeavor toward continuous process improvement. The need for better solutions is always present, and wireless process instruments certainly appear to fit the bill. But before widespread adaptation of wireless occurs, concerns about reliability, user comfort, and integration must be overcome. However, as plant managers see the downward pressure on deployment and maintenance costs, and as they see improved employee safety and smoother environmental compliance, adoption of wireless instrumentation will accelerate and eventually become ubiquitous in process control. DelVal Flow Control offers high quality butterfly valves, ball valves, and quarter turn actuators that provide smooth, controlled and dependable flow of fluids through pipelines in process plants. 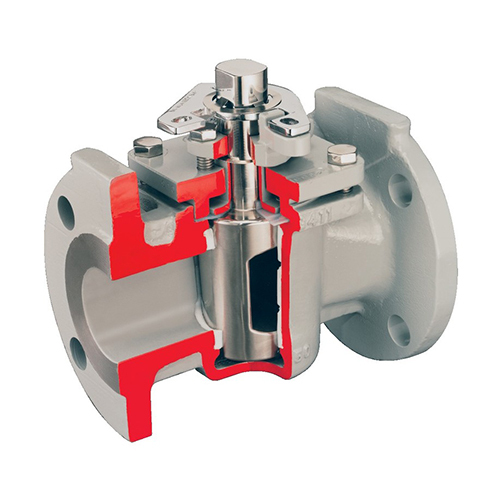 All three types provide the same function - converting air pressure to rotational movement intended to open, close, or position a quarter-turn valve (ball valves, plug valves, butterfly valves, or other 90 degree rotational valves). All three styles are available in either direct acting or spring return versions. 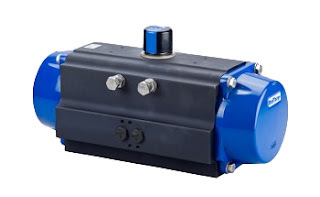 Direct acting actuators use the air supply to move the actuator in both directions (open and close). Spring return actuators, as the name implies, uses springs to move the actuator back to its "resting" state. Converting from direct acting to spring return is done through simple modifications, typically just adding an external spring module, or removing the end caps from rack and pinion actuators and installing several coil springs. Vane actuators generally provide the most space savings when comparing size-to-torque with rack and pinion and scotch yoke. They have a reputation for long life because then contain fewer moving parts than rack and pinion and scotch yoke actuators. Vane actuators use externally mounted, helically wound "clock springs" for their spring return mechanism.